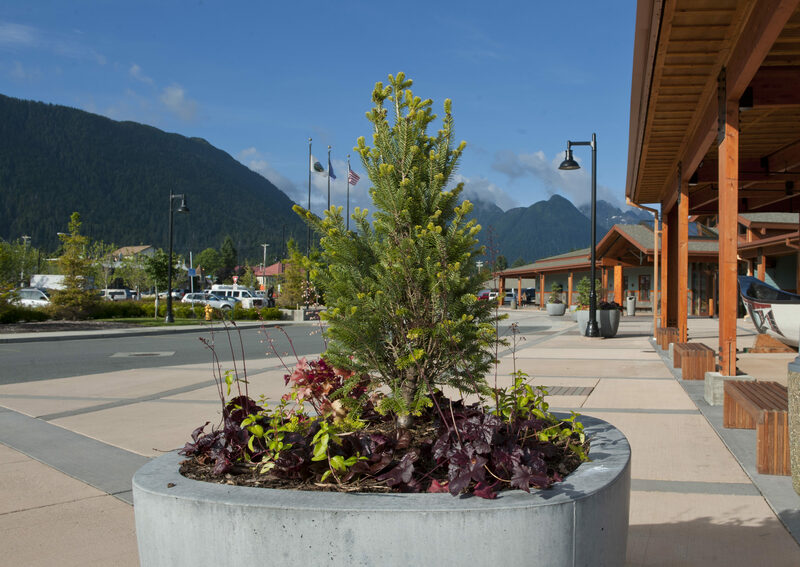 This project included a major link of the Sitka Sea Walk from Crescent Harbor to the Sitka Public Library, creating a flexible outdoor public space along the waterfront for locals and tourists as well as integrating the building expansion with the recently completed parking lot improvements. 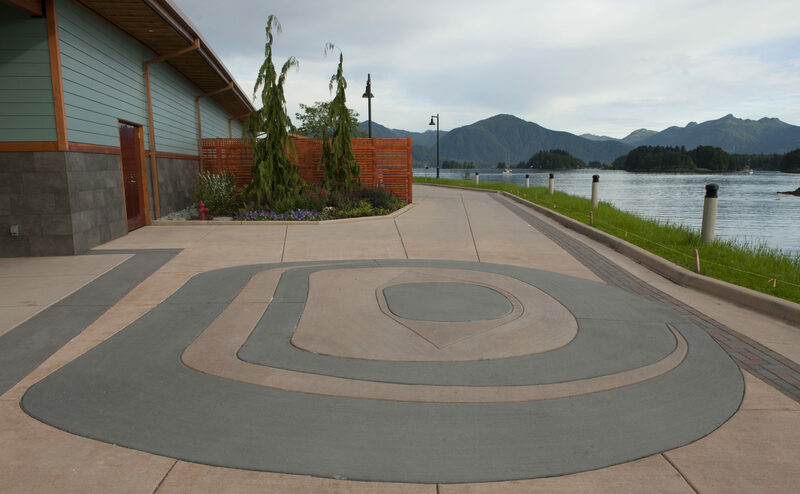 Other features include paving patterns and amenities that highlight Sitka’s rich history. The ‘Ovoid’ is the basic building shape in Tlingit carving. The form is called ‘Salmon Trouthead’ and was a collaboration with Master Carver Tommy Joseph.